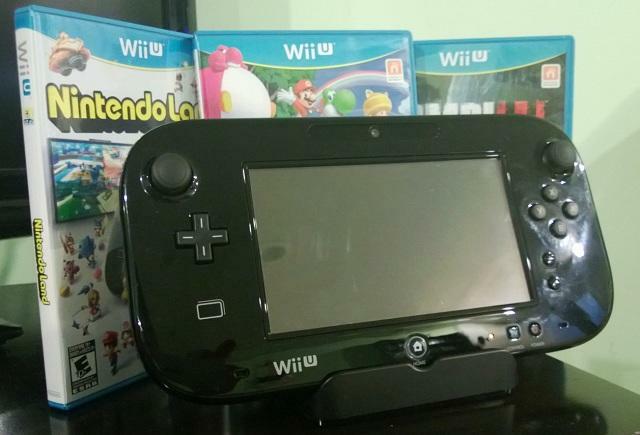 Wii U Sells 400k During First Week in U.S. The Wii U is off to a solid start in the United States as it's sold out at retail across the country. In speaking with CNET, Nintendo of America's Reggie Fils-Aime revealed that the Wii U sold more than 400,000 units during its first week in the US. The full Nintendo hardware family moved more than 1.2 million units: 400,000 for the Wii U, 300,000 for the Wii (a number inflated by Black Friday sales), 250,000 3DS units and 275,000 DS units (again, a number boosted by Black Friday sales). Reggie made a point to indicate that Nintendo would try to resupply retailers as soon as possible. …Wii was a unique phenomenon…You couldn't walk into a retailer and buy a Wii until spring of 2009. We've certainly learned many lessons from that and we are replenishing retailers more quickly this time around. We are looking to have as much product into retail as possible. It's driven by consumer response." The Wii, for the sake of comparison, moved more than 600,000 units in its first eight days at retail. Though, lining the Wii U up next to the Wii is a bit of a mistake. The Wii was a unique and original beast. It managed to swoon both gamers and non-gamers alike. The Wii U, however, is a more complicated system that likely won't have the same presence in the casual gaming market. The Wii was an anomaly, and judging any future gaming console's success by comparing it to the Wii is misdirected. The PlayStation 3 sold roughly 300,000 units during its first week. The Xbox 360 sold around 350,000 units during its first week. Here's the thing you need to consider before you throw yourself off a bridge or taking to the nearest gaming forum in order to tell people how great the Wii U is: launch numbers don't make or break a system. What determines the fate of a system is how it manages its lifetime sales. In the case of the Wii, Nintendo enjoyed epic sales numbers over a long period. The Wii U may be sold out at a lot of retailers right now, but the success of the system hinges upon its sales performance in December, January, February and so on. Not just its first week on or off shelves. Did you buy a Wii U?